Swimming pools can be wonderfully decorated, colored and beautifully lit up in various ways. 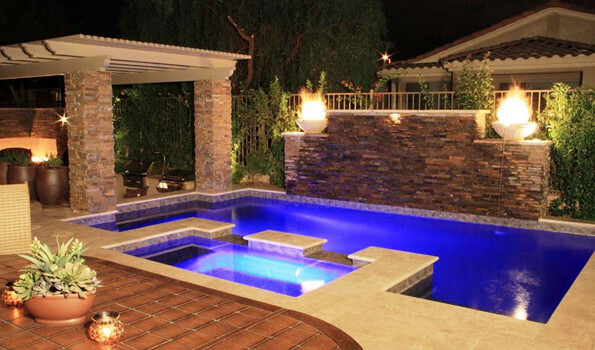 From mosaic tile, LED lighting, rock waterfall slides, grottos and water features these are just a few ways to make your pool UNIQUE! 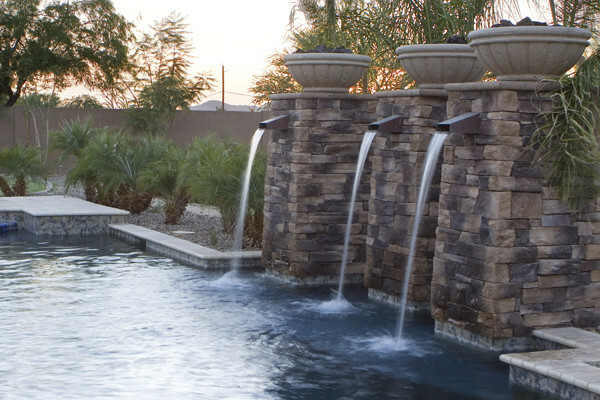 Water features are a great way to add visual personality to your residence and/or pool area. The sound of a running water fountain can offer a great sense of peace and serenity to any outdoor patio. Unique has our own waterfall specialists that can build freeform rock waterfalls to architectural columns with pots spilling water, or water sheers spilling into a pool. Unique can then match these features into your landscape design.